Nabu was once a lush savanna cut by a river, the banks of which supported a highly advanced civilization. At the center of this civilization was the city-state of Nabu and its attendant empire that stretched from the jungles of Cush to the rocky hills of the Wyvern Coast. This empire was ruled by successive dynasties of scientist-kings, men and women who, it is said, were as above other humans as humans are above beasts. These kings and queen and their attendants produced wonders for their empire. And then, they apparently went too far. The cataclysm has been attributed to many possible occurrences, though most scholars would place the blame squarely on Nabu’s competition with its rival, Irem, over the verdant hills and forests of Venatia. The two powers, they believe, finally destroyed one another in a final clash of sorcery and science. In the wake of the cataclysm, both lands were turned to waste – wind-swept deserts and buried ruins replacing farmland and city, beastmen and corpses replacing men and women. The beastmen of Nabu are, for the most part, human beings. 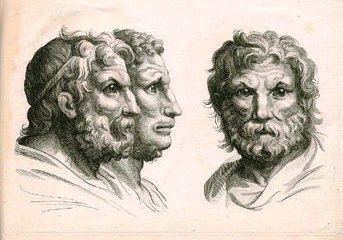 Their habits and their faces, however, carry the mark of beasts and keep them separate from other humans, incapable of interbreeding with normal humans and often unwilling to manage their passions sufficiently to fit into to human society. There is no doubt that the beastmen were created by the energies unleashed during the cataclysm, but the process by which this transformation was accomplished is lost to modern theoretic wizardry. 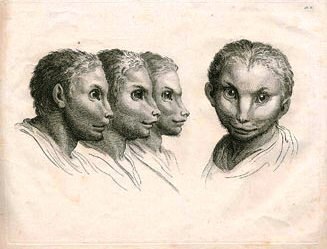 The bubasti are a race of cat-like demi-humans who dwell on the margins of the River of Death. Bubasti appear as short (average 3 feet tall), slight humanoids with dusky skin and glossy, blue-black hair. They have furtive, piercing eyes and are prone to staring. The bubasti are chaotic down to their little souls, and often cruel and malicious. They dress in simple tunics and enjoy decorating themselves (when not on the hunt) with silver trinkets. In fact, bubasti place such a high value on silver that silver coins can be considered to be double in value when trading with the cat people. The bubasti live in small communities of 10 to 30 individuals. They dwell in the tall reeds that clog the banks of the river. The bubasti construct tiny huts from the reeds. Each little den is separated by several yards from the others, and they are so cunningly camouflaged that it is possible to walk through a bubasti village without ever knowing. Villages are mostly made up of females and young, with a few older males living on the outskirts of the village and claiming it and its inhabitants as their territory. The females put up with this so long as the males keep mostly to themselves and make no attempt to assert political control over the village. Most males belong to no village, instead living the life of wanderers and adventurers. The cat people mostly make their living as fishermen, but they are also skilled at hunting small birds with weighted nets. Bubasti give most of their religious devotion to the mythic Cat Lord, who the Nabu know as Bast but the cat people call Pasha. In turn, they enjoy Pasha’s special attention and protection, with people hurting a bubasti running a slight (5%) chance of attracting a curse (per the spell). Racial Characteristics: Bubasti characters enjoy a +1 bonus to make saving throws against breath weapons and triggered traps. They only trip pit traps on a roll of 1 on 1d8, and take only half damage from falling. Bubasti can see in the dark as well as elves and dwarves. Bubasti speak their own language, a dialect of the common tongue of humankind, and the language of felines. While you can use the bubasti as a race, like elf or halfling, capable of taking levels in the basic classes, you might also want to treat the bubasti as a class of their own. In addition to the racial abilities listed above, members of the bubasti class gain the ability to cast a limited number of spells and the chance to escape certain death. Prime Requisite: Dexterity (13+ gets +5% bonus to earned experience). Hit Dice: 1d6+1 (+1 hit points per level after 9th). Weapons Permitted: Club, dagger, javelin, light crossbow, short bow, short sword, sling. Armor Permitted: Leather, ring, shields. Magic Spells (1st): The bubasti are granted access to a small number of spells by their divine patron. The bubasti spell list is described below. Bubasti cast spells as clerics. * As the magic-user spell Strength, but applies instead to dexterity. Bubasti gain 2d4 points of dexterity from this spell. ** The reverse of remove curse. *** As Monster Summoning I, except the spell summons 2d6 normal cats from the aether. Cats have the following statistics: HD 1d2; AC 5 ; Atk 2 claws (1 damage), 1 bite (1 damage); Move 12; Save 17; CL/XP A/5; Special: None. # New spell – see below. Evasion (1st): The bubasti can roll with a potentially lethal blow to take less damage from it than she otherwise would. Once per day, when a bubasti would be reduced to 0 or fewer hit points by damage from a weapon or other blow, she can attempt a saving throw. If successful, she takes only half damage from the attack. Keen Hearing (1st): A bubasti’s hearing is so acute that they are only surprised on a roll of 1 on 1d8. Light Footed (1st): Bubasti are so quiet when they move that they are capable, when surrounded by equally quiet creatures or alone, of surprising their foes on the roll of 1-2 on 1d6. You instantly transfer yourself from your current location to any other spot within range. You always arrive at exactly the spot desired, whether by simply visualizing the area or by stating direction. You may bring one additional willing man-sized or smaller creature per three caster levels. This spell increases your land speed by +12. The affected creatures or objects fall so slowly that they take no damage upon landing. The subject of this spell can easily leap 10 feet horizontally or 6 feet vertically. Unlike their small, furtive kin the bubasti, the lion people, or belcwn, are tall and broad of shoulder. The lion people have tanned, muscular bodies, golden eyes and curly blonde or red hair that is always worn long and loose. Belcwns dress in leather tunics. Warriors wear leather or ring armor and carry heavy flails, hooked swords or pole arms and sometimes shields. They are expert at using their weapons to knock their enemies prone, opening them to a vicious pounce. The male leader of a pride wears a heavy, animal skin cloak and receives visitors sitting on a beautifully carved wooden stool. The belcwn live in prides, pitching their animal skin tents on grassy meadows near groves of acacia trees. Each pride consists of 6 to 12 female warriors and either a single male or a pair of brothers who rule as titular kings and defenders. While the women work as hunters and gatherers, the kings tutor their children in fighting and in the legends and lore of their people. The males also fill their time working on crafts necessary to the tribe’s survival – mostly weapon making, but also basket weaving and leather working. Males without a pride live as mercenaries and adventurers. Their foul tempers and penchant for violence make them useful to nobles, but poorly regarded by common folk. The belcwn worship Pasha, the ruler of all felines, as well as deities of war and solar divinities. Males act as priests for their prides, and thus often have the magical abilities of low-level adepts. Many belcwn kings are attended by bubasti viziers. Racial Characteristics: Belcwns are usually tall and muscular, but are generally not known for their intellects. New belcwn characters receive a +2 bonus to their strength attribute, but a -2 penalty to their intelligence. These modifications cannot take an ability score higher than 18 or lower than 3. Belcwns can see in the dark. Belcwns are roudy, eager warriors who enjoy coming to blows with their enemies. Their ear-shattering battle cries cause enemies to quake in their boots, and their powerful charges often send them scattering. In addition, belcwns possess an innate ability to command normal beasts. Prime Requisite: Strength (13+ gets +5% bonus to earned experience). Hit Dice: 1d6+2 (+3 hit points per level after 9th). Armor Permitted: Leather, ring, chainmail and shields. Battle Yell: The belcwn usually enter battle with a terrible, throaty yell, not unlike a lion’s roar. Creatures with fewer hit dice than the belcwn (and no more than 5 hit dice in any event) must pass a saving throw or be struck with fear, suffering a -1 penalty to hit and damage during combat. Charge: When belcwns charge into a fight, they enjoy a +1 bonus to hit and damage for one round, but suffer a -2 penalty to Armor Class and always lose initiative to troops who have set their spears against a charge. Foes that are damaged by a belcwn’s charge must make a saving throw or be knocked prone. Command Animals: Belcwns possess a natural aura of command over natural, normal animals (i.e. not mythic animals like unicorns or giant versions of normal animals). Against these creatures, a belcwn can make a “turn undead” roll as a cleric of the belcwn’s level. If successful, the animals fall under the belcwn’s command as the undead fall under the command of an evil cleric, though the duration is only 1 hour. Cool. I like the “scientist-kings” part too, nice and pulpy.